1. 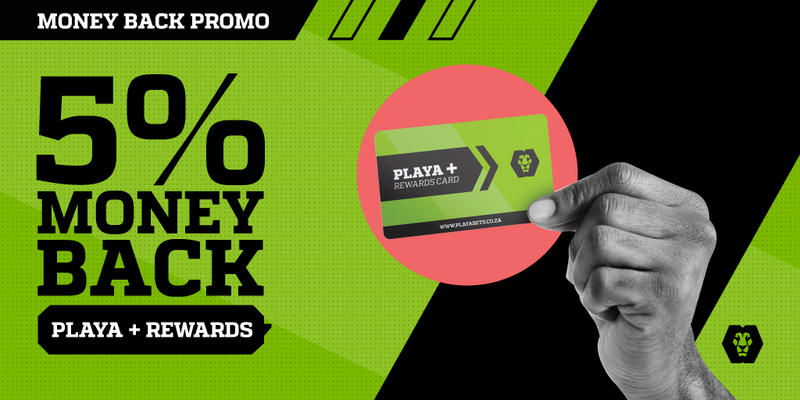 You will need to sign-up for a Playa Bets loyalty card at your local Playa Bets betting branch. 4. To receive money back, your bonus balance on your account must be on 0. If you have a positive bonus balance then you will not be credited with a new bonus. You will also only qualify if you have made a real money deposit within the past 14 days of the qualifying Tuesday. For example, if you qualify for a bonus on Tuesday 18 September 2018, you must have made a deposit within the period 3-17 September 2018 to receive your money back bonus. 5. To claim your funds, you must accept the bonus in your Playa Bets account notifications. 6. Only Sports, Lucky Numbers and KENO Bets taken with cash in Playa Bets betting shops qualify for this promotion. Bets taken on Horse Racing, Greyhound Racing and Betgames do not qualify for this promotions. 7. Standard withdrawal terms and conditions apply.